Since 2002 he has been building new era high school to Kuopio, Finland. 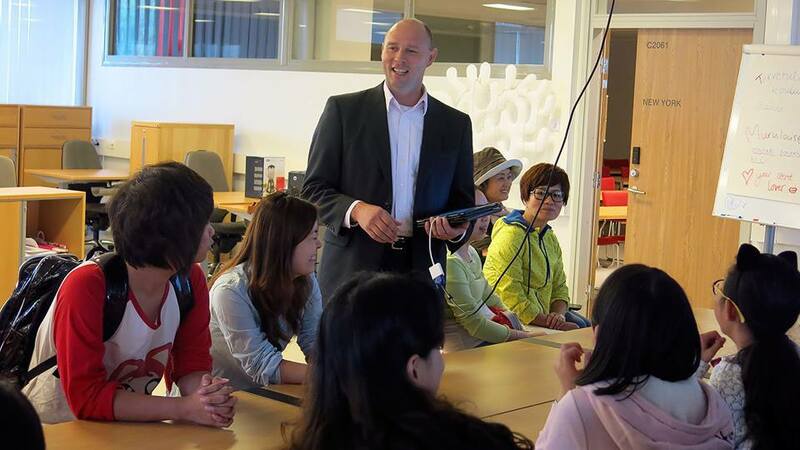 Success to connect internationally, using ICT effortless and creating the best high school in eastern Finland. As a innovative headmaster he has had opportunities to work with many companies side his normal headmaster job. Latest development work has been OnEdu learning platform. It is European Union best learning solution developed in Kuopio, Finland. Using and developing OnEdu together with Mobie Ltd. Finland since 2013 has been huge path to walk for him. New challenges will be with virtual reality learning platforms. Innovative development of education technology with various network partners has been the key for success also in business since 1993. Founder of the KurssiTV (powered by Ubicast) for the schools and companies in Finland. Presenting also the Scandinavian sector for Ubicast Ltd. Also training teachers and companies beside the headmaster job has given him a solid platform to talk about education technology and give examples how to use technology in learning. Training master trainers since 2014 who will have responsibility for in-service training of teachers in the implementation of the new physical and health education curriculum in schools in Kosovo. To be part of building new educational system to Kosovo which is starting to be independent has been revolutionary change to give professional support to those which are in the era of transforming new born country. Mobie Sport Academy is a global online shop for digital learning and training materials. It contains an extremely versatile content production platform and a learning environment including private video tutoring and personal learning portfolio. Working as a Fulbright exchange teacher 1998-1999 in The Haverford School, PA, USA has given great opportunity to networking around USA and have a look to private education sector. Living a sabbatical year 2010-2011 with Fulbright researcher her wife Doctor Marjorita Sormunen in Gainesville, FL, USA gave good peak to public school system through her three daughters. Rotary student exchange has been the main function to work in the Rotary organisation and has given him a wide network globally. Giving and sharing has been natural and characteristic way to mind good things to happening.